Australian College of Chiropractic Paediatrics - The ACCP is constantly striving to provide the latest in research for common conditions in paediatrics. See website for Chiropractic evidenced-based management for Breastfeeding Difficulty and Plagiocephaly management (great article for head shape issues and what this can mean). ICPA4Kids.org - A comprehensive collection of research studies, chiropractic case studies and other published papers which demonstrate the efficacy of chiropractic care for children and pregnant women. We are members of this organisation. ASRF - Australian Spinal Research Foundation. 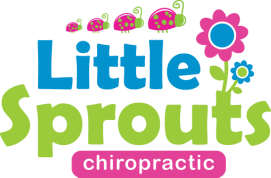 Little Sprouts are members of this organisation and donate to Chiropractic Research through this association. CAA - Chiropractors Association of Australia. We are members of this Association. OneFoundation.org - NET's research arm. Little Sprouts Chiropractic Donates to this organisation. Children and Applied Kinesiology. AK Research on Dr Scott Cuthbert's site.